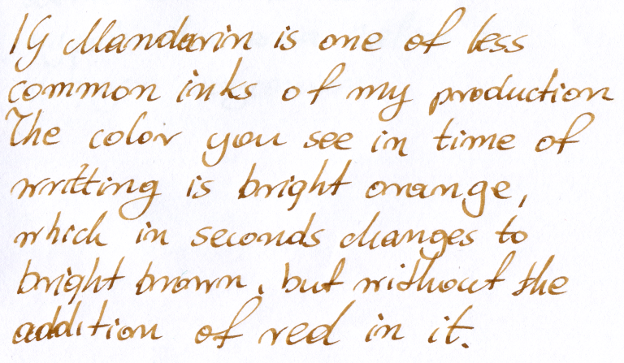 IG Mandarin is one of the less common inks of my production. The color you see in the time of writing is bright orange, which in seconds changes to bright brown, but without the addition of red in it. 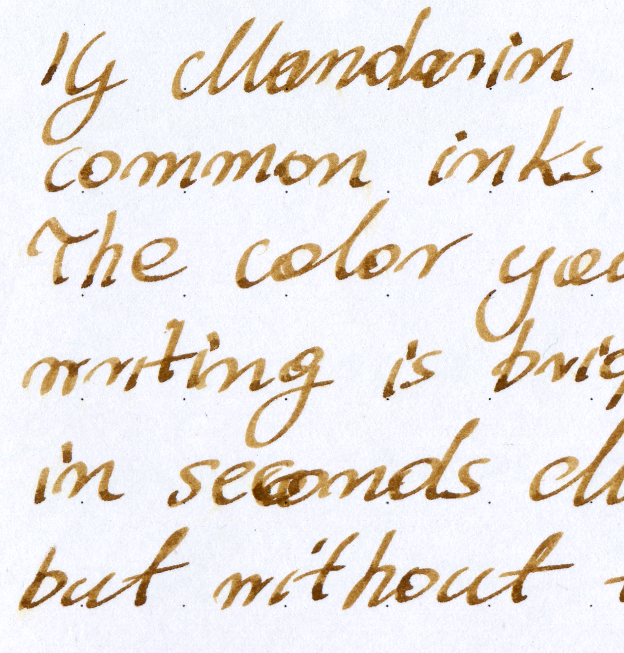 What distinguish this ink is very nice shadingm, with color coming from saturated orange to bright brown. 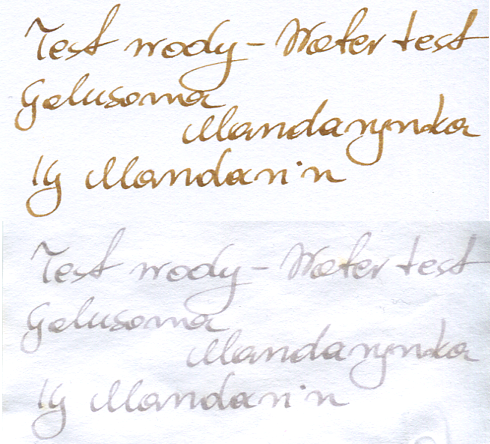 The content of iron-gall component in this ink is small, resulting in that in the area of pen hygiene this ink does not differ significantly from the inks based only on dyes. 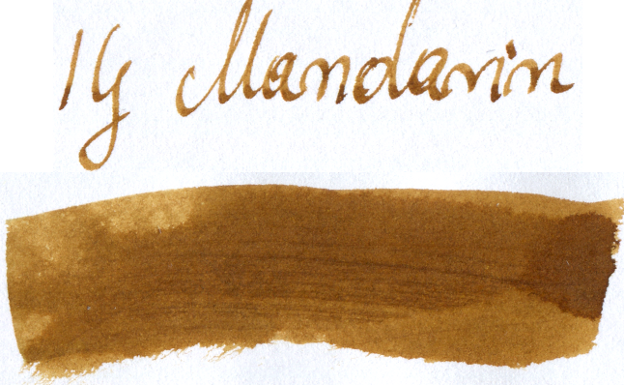 The color change resulting from oxidation of ink on paper, does not entail such a large increase in saturation of ink color, as in case of other iron-gall ink of my production. Ink posses only slight water resistance – dye is easily washed off, and only iron-gall component remains. Text lose at this point most of its saturation, but still readable.